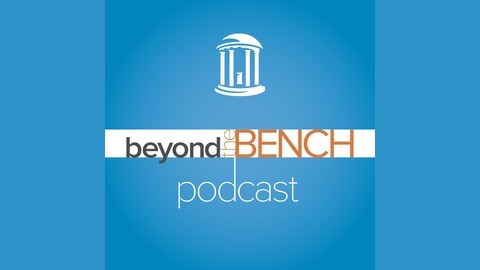 "Beyond the Bench" is a podcast about the legal system produced by the North Carolina Judicial College at the UNC School of Government. It is interview-based, with guests including judges, lawyers, professors, and citizens who have participated in court proceedings. Some interviews focus on guests’ personal experiences and opinions, while others explore discrete legal issues. The podcast is organized by season, with each season being focused on a particular type of case. 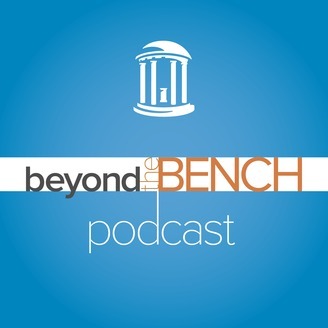 For example, season one is about criminal law, and is hosted by Jeff Welty, a member of the criminal law faculty at the School of Government and the Director of the North Carolina Judicial College.